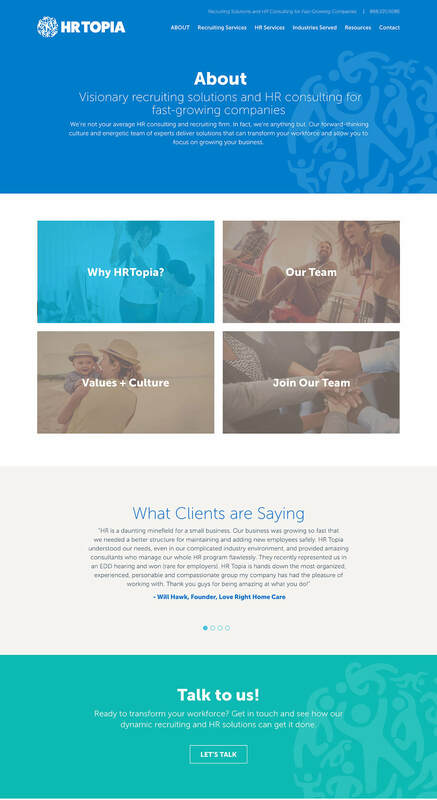 HR Topia launched its new brand via their website created by Bop Design. 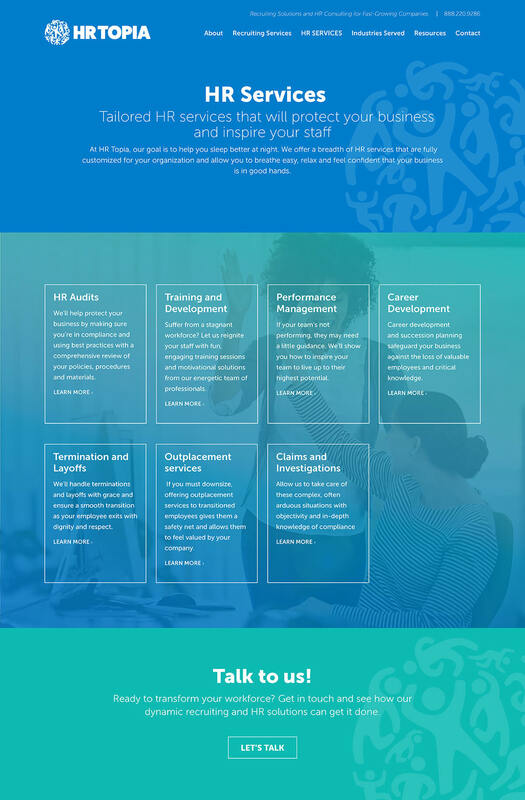 The new website helps position the HR consulting firm as a national company capable of partnering with organizations across the U.S. The end result is a digital brand platform that resonates with HR decision makers at mid-market to enterprise-level organizations (1,000 to 10, 000 employees).